Does your business correctly dispose of confidential waste? Running your own business can be difficult enough at times without being hit with a fine for breaching the Data Protection Act. In the UK businesses are liable for fines of up to £500,000 for failing to effectively dispose of confidential information, but many business owners and employees are unaware of exactly what their obligations are and exactly how devastating a breach can be. Every day businesses take down sensitive information from customers, clients and other providers which need to be handled with care. This could range from simple addresses and phone numbers to bank details, passwords or other private and personal information. While businesses tend to spend lots of money on physical security such as gates, fences and CCTV cameras, in many cases they fail to give the same adequate protection to confidential data. However, the risk of failing to protect confidential data is extremely significant. The government estimates that the cost of identity fraud on businesses in the UK to be at least £2billion – not a small amount of money by anyone’s standards and the damage comes in many guises. First of all there is the risk of fraud or blackmail by whoever manages to obtain the data which could lead to financial losses for your business or your customers. Next, there is the risk of information being stolen by competitors who could hijack projects, copy ideas and steal business leads. There is the risk of massive fines as demonstrated in the Sony customer data leak in which they were fined £250,000 after customer credit card details were leaked. And finally there is the damage to your business’s reputation to consider, something which shouldn’t be taken lightly. Would your business be able to survive such an ordeal? Securing physical documents in your property by limiting access to the key people that need to access them is one thing, but you also need to process them in a timely manner and only hold them on site for as long as is absolutely necessary. Once information is processed it should be shredded. 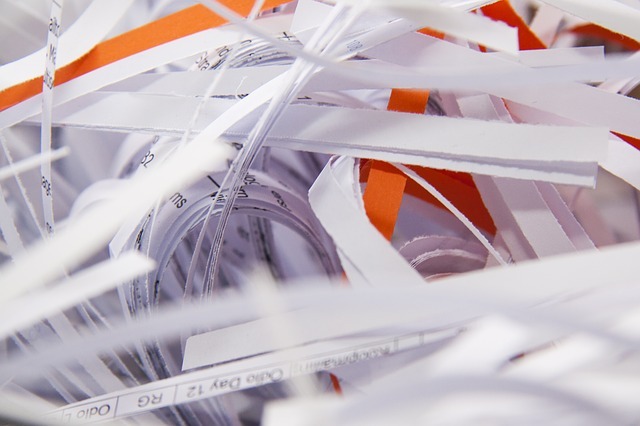 However, shredding your materials on site and leaving them by your bins is far from foolproof and there have been many instances of documents being pieced back together and stolen by criminals, journalists or a business competitor – which is why it is important to use a secure and trusted service to carry out your shredding for you. 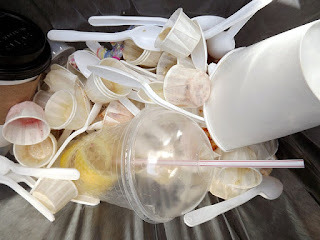 Here at LSPS we offer a complete waste disposal management package to business and offices in Leicester and Leicestershire to help them comply with the latest recycling legislation. We offer a no obligation meeting at your business or office premises in Leicester and Leicestershire to discuss the most cost effective and practical recycling & waste disposal options available to you. To find out more please call us on our free phone number: 0800 083 7807 or alternatively click here to contact us via email or to request a call back. Specialist recycling charity WRAP has called for greater collaboration efforts between UK councils, packagers and retailers in order to effectively create consistent recycling standards. Speaking at the Collections Conference in London, WRAP special advisor Chris Mills claimed that councils in the UK currently have too many variations in the ways that they collect their recycling which make it difficult for householders to understand and put into practice. As we discussed in our recent blog ‘Is the UK confused by recycling rules’ as much as 338,00 tonnes of household waste is rejected from recycling facilities annually across the UK. WRAP claims that this stems from householders being unsure as to what can go into their recycling bins and how best to prepare those items for recycling. WRAP aims to bring together representatives from councils, waste management companies, packaging companies and retailers to advise on a more consistent approach to recycling rules. WRAP has estimated that the benefits of an aligned approach could lead to around £33m in savings as well as significant reductions in energy wastage and C02 emissions. Here at LSPS recycling is of great importance to us and we help businesses and individuals all across Leicestershire to reduce the amount of their waste that ends up at landfill sites. Our Waste Transfer Station is open to traders and has an extensive range of state of the art equipment. To find out how about we can help with your waste disposal needs please contact us on 0800 083 7807, or visit our website for further information.